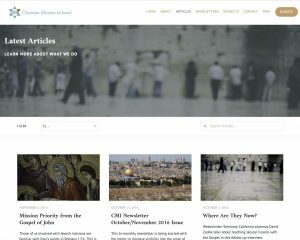 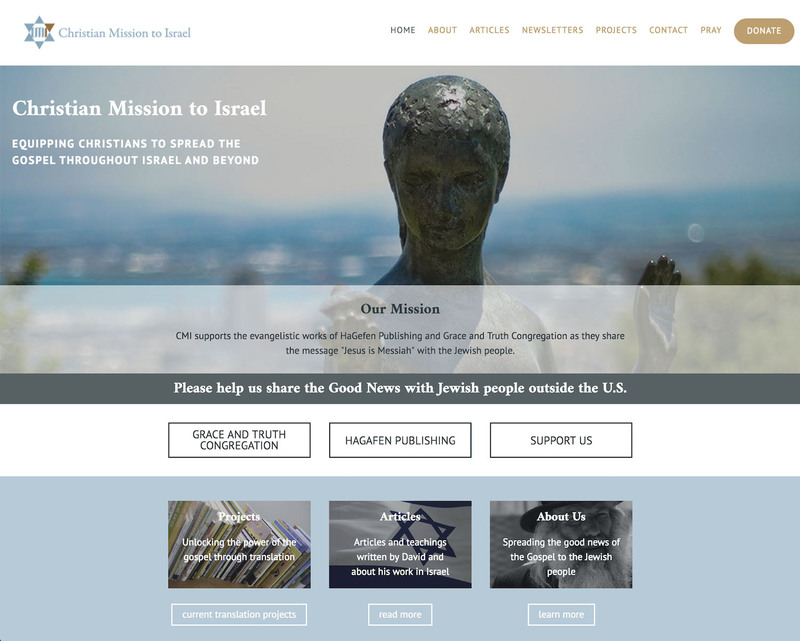 Christian Mission to Israel (CMI) is a long time client. 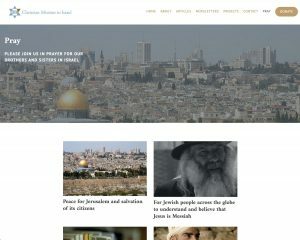 We created their previous website in 2006, which had been hacked in 2014 because they were not actively updating their site and did not have managed WordPress hosting. 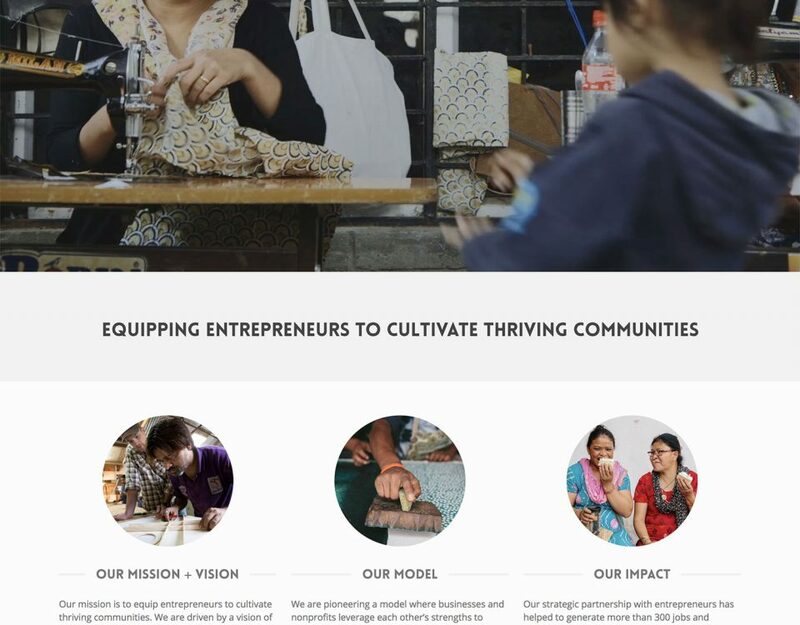 In 10 years, their name had changed and their mission had refined so they needed a completely new site which accurately portrayed their mission and vision. We worked with Tucker Design & Co. to choose a theme and to make some design customizations Steadfast which had some already great features builtin that were great building blocks. After making the design modifications, we created a customized way of inputting articles and publishing projects that allowed CMI to update these sections of their website easily without having to worry about improper formatting. 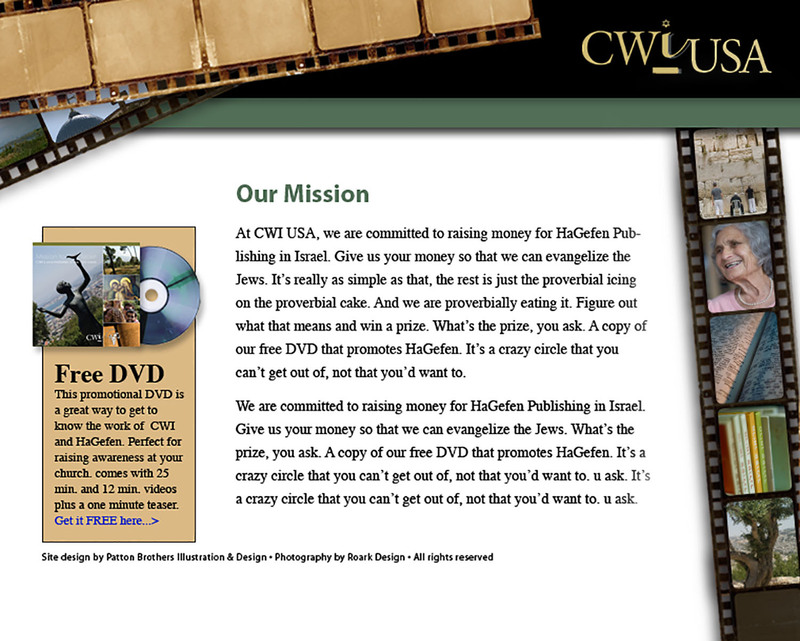 We also set up online donations through PayPal to create a seamless donation process. 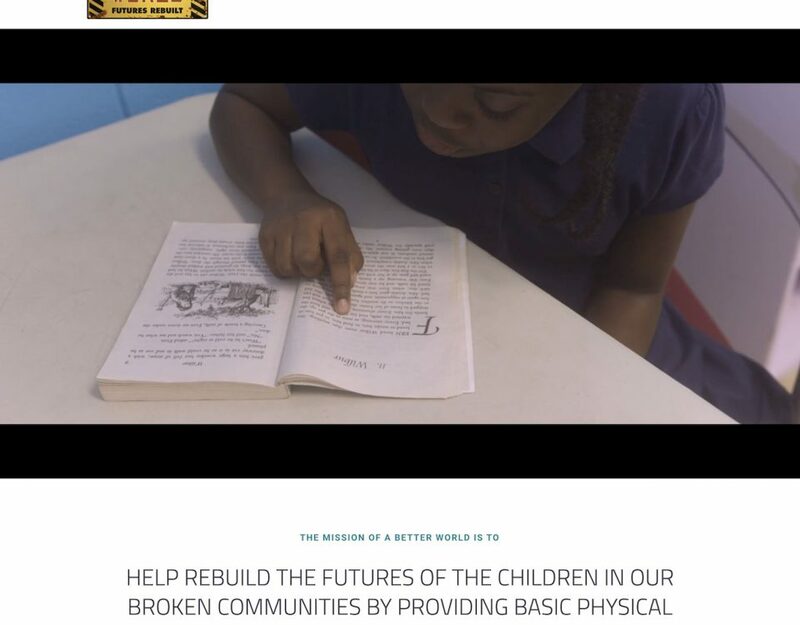 We also helped them set up a newsletter through MailChimp. 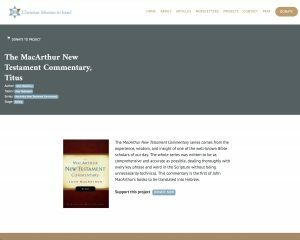 Their new website is much easier to use, contains more useful information for ministry partners and looks clean and modern. 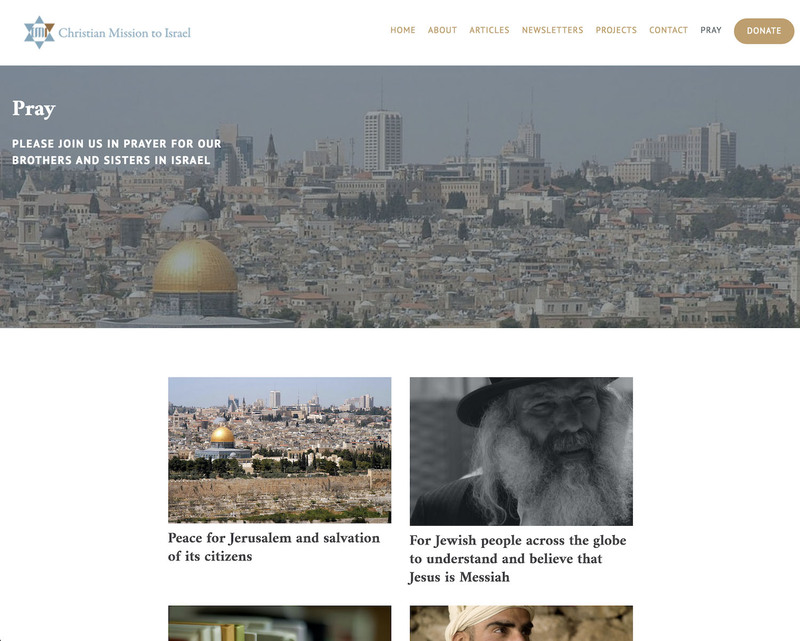 CMI is very grateful to have this new site they can use to let people know how they are ministering in Israel.